Maria and Dakota’s Lake Norman engagement photography session held a lot of meaning to them. 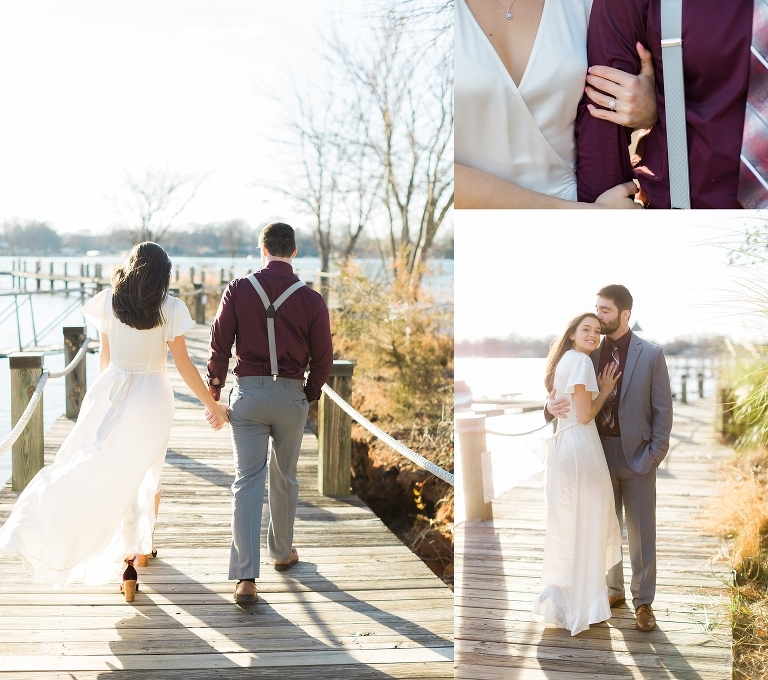 We started out the session on Lake Norman in Davidson where they had spent a lot of time together early on in their relationship. They reminisced over relaxing days of lounging in a hammock together alongside the lake. This area is remembered as where their relationship bloomed. We walked along the docks near the boats and yachts. Oh, and it was windy and freezing!!! 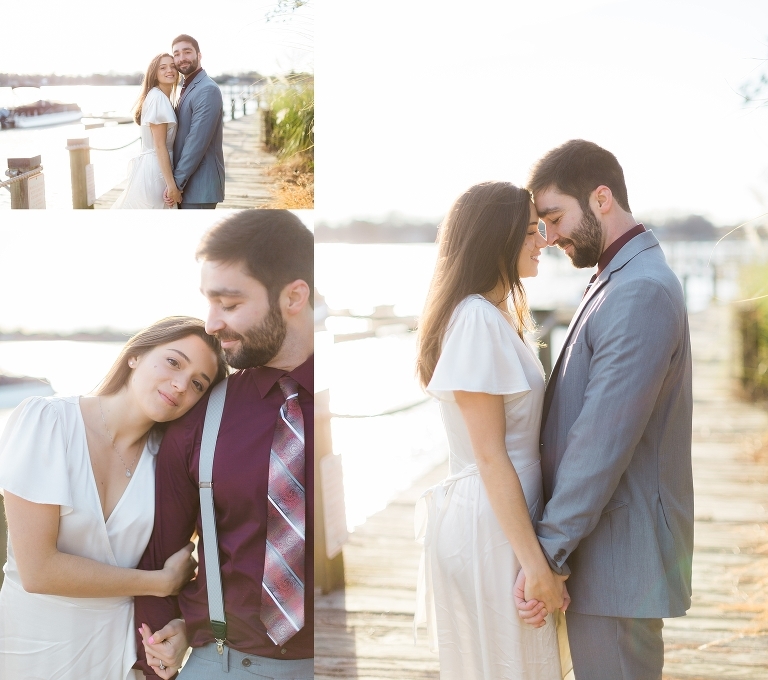 But at least the sun was shining so the cold didn’t stop us from getting beautiful photos! Then, we headed to the next very meaningful spot– where he proposed! 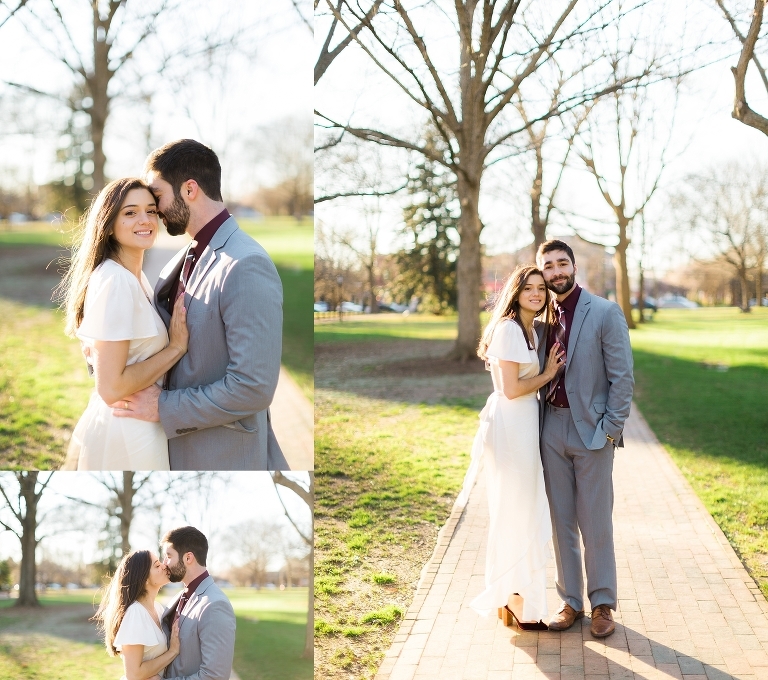 The proposal happened on a bench along Davidson College’s campus in Downtown Davidson. It was the Friday after Thanksgiving and Maria had a feeling that Dakota was about to ask her to marry him that Saturday. Maria confided in a friend about her suspicions, then the friend called Dakota and told him that she knew! So, Dakota decided to pop the question one day earlier to catch her by surprise. Sitting on the bench in Bible study together, there was a sticky note on the page. Maria tore it off and it read, “Maria will you marry me?” Dakota immediately got down on one knee…and of coarse she said YES! This is the bench where he proposed! Downtown Davidson is a beautiful spot! Check out another session there!